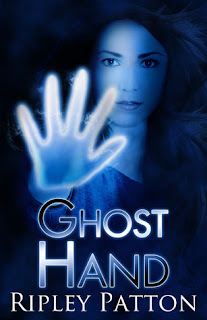 Book Review: Ripley Patton's "Ghost Hand"
Blogger’s Note: I know I promised the second entry about things I learned about putting together an anthology, but the bug we’ve been fighting turned into bronchitis, possibly bordering on pneumonia. So we’re both on heavy antibiotics which does not make for very sensible thinking or analyzing, much less writing. So please bear with us and hope you enjoy this latest book review. We hope to be back in the saddle very soon. Thank you. 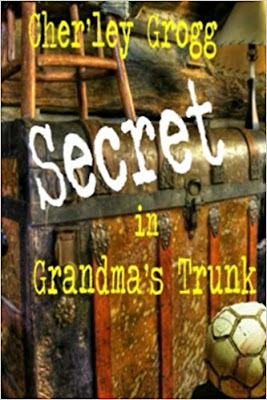 Book Review: Cher'ley Grogg's "The Secret In Grandma's Trunk"
This was my first venture into the writing of Miss Grogg and I have to say I was quite pleased. This tale took me down the winding passages of my own childhood memories involving friends, relatives, and grandparents (who I sorely miss). Thank you! Thank you! You're all being too kind. But today's post is not to talk about the anthology itself, as much as what went into making it. How did it differ from writing full-length novels? Was it easier? Was it harder? What was the process like? Where did we get all the stories for it, etc.? Well, for starters, coming up with a decent number of stories was and wasn't hard really. Helen had been writing stories long before e-books and well before I tried my hand at penning a tale. I can easily say I learned so much from her earlier attempts at getting published, and let me tell you she got damn close to seeing some of her work in print. But, that's a tale for another entry.